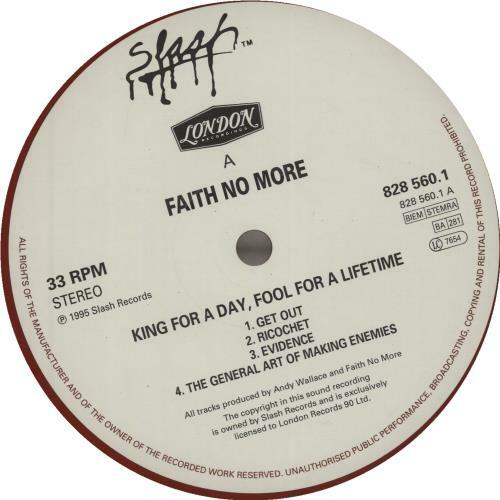 FAITH NO MORE King For A Day (1995 UK limited edition 14-track double LP pressed on Red Vinyl, the fifth studio album from the American rock group including the singles Digging the Grave, Ricochet and Evidence, within a hype stickered single pocket picture sleeve. 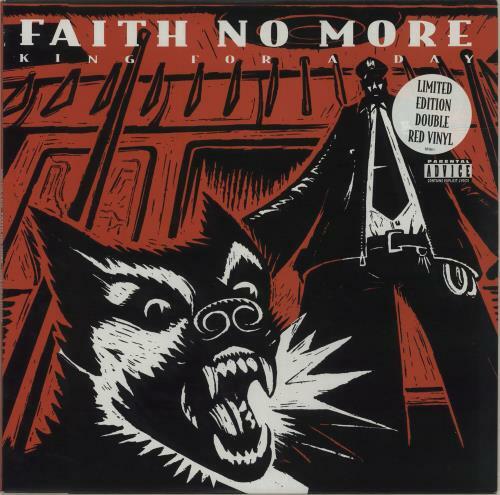 The sleeve shows minimal wear and the vinyl remains 'near as new' with little evidence of play. A fantastic example of this hard to find 90s vinyl pressing).